Focusing on 3 additionas to your diet can make a significant difference in the long run. Add the three below changes to your diet to improve your fight against dementia and other memory declines. 1) Vitamin D: Remember to eat more fish! According to the Alzheimer’s Research Center vitamin D deficiency significantly increases the risk of dementia and Alzheimer’s disease. And it’s not surprising to find a “D” deficiency in older as well as younger adults. The best ways to improve vitamin D intake is to eat fatty fish, such as salmon, tuna and sardines. 2) Studies have shown that most vitamin E-rich foods, such as walnuts, almonds and olive oil, had a reduced Alzheimer’s risk. Vitamin E may trap free radicals that can damage brain cells. Healthy snacking on nuts rather than chips can make a significant difference. 3) Lastly a lesser known Vitamin: Anthocyanins. "Recent research from Tufts University found that the antioxidant anthocyanin, found in blueberries, can protect brain cells and boost communication between brain neurons." Supposedly consuming two or more half-cup servings of blueberries or strawberries per week had a slower rate of memory decline than those who didn’t eat the berries. Depending on the type of care your parent needs, there are factors you need to consider. So if you’re considering hiring an in-home caregiver here are four common mistakes you should avoid. Putting it off. There is a lot of evidence that shows using a professional caregiver improves the psychological well-being of nonprofessional caregivers (home health care, adult day care, adult programs). Studies in publications like the Journal of Aging and Health have found that people often seek professional caregivers to alleviate stress and depression that results from taking care of a loved one around the clock. Not vetting the caregiver or agency. This process can be intimidating and overwhelming, especially if a friend or family member recommended a caregiver. But this is a big decision. Do not make caregivers a "commodity". 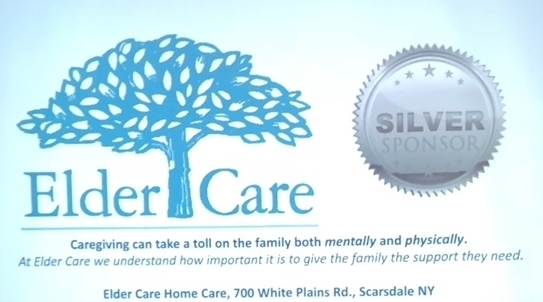 The caregiver will be spending an extraordinary amount of time with your loved one. Ensure it is the right fit and the agency provides the support you need. Not keeping everyone in the loop. If you have been taking care of a loved one, and you have siblings who are too busy, lazy or unfocused to help, it'll probably fall to you to hire a professional caregiver. But once you find a contender for your parent's caregiving needs, ask your siblings to sit in on the interview process, which may help you avoid contentious issues later. Not staying involved. It's important to periodically ask your mom or dad how things are going with the caregiver in case needs aren't being met. Consistent oversight is critical to ensure you and your family are happy with the care that is being provided.